Pea (Pisum sativum): growing, planting, caring. 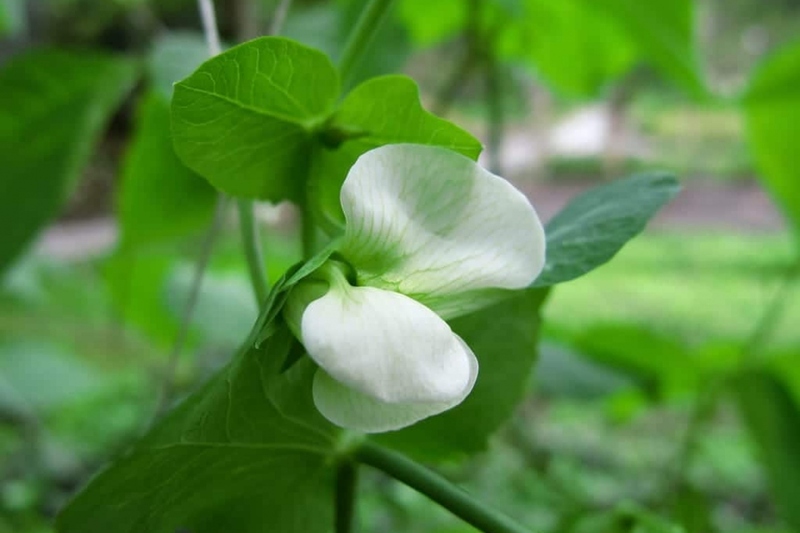 Don't be pea-brained, grow this useful plant in your garden! The pea cultivar Pisum sativum is an annual legume from the Fabaceae family that is grown for its seeds. 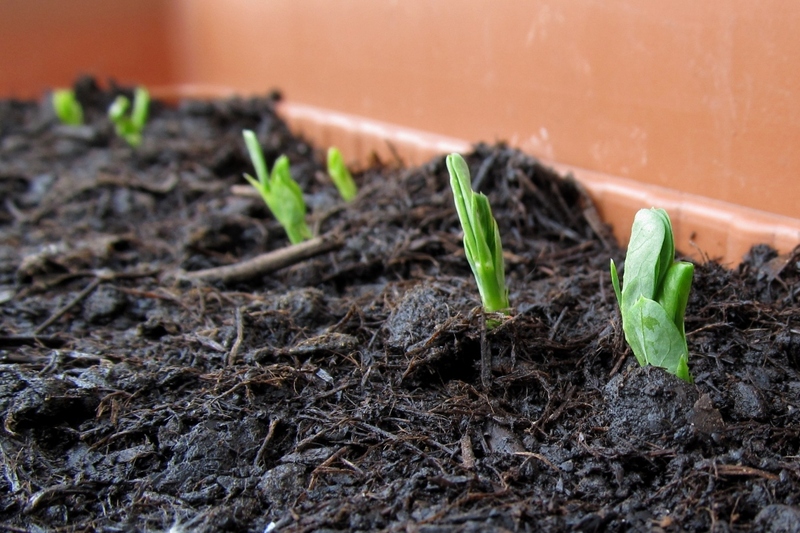 Peas are sowed in the spring in rather rich, light soil in the sunlight or a partially shaded area. The pea - Pisum sativum - is an annual legume from the Fabaceae family that is grown for its seeds. Its leaves are opposite, composed of four pairs of folioles attached directly to the stalk, and ending with a single or branching twist. The folioles are whole, obovate and between 1.5 to 6 centimeters long. Peas require a fairly rich and light soil, and either full sun or light shade. In heavy, moist earth, opt to grow in garden plots — slightly raised spaces of soil. Seed in autumn in gentle climates, or at the end of winter/beginning of summer in colder climates. You can sow smooth-seed varieties from February to April, wrinkled-seed varieties later in the spring, and sometimes until May or June for other varieties. When seeding in autumn, you should bury the seeds slightly deeper than usual (6 to 8 cm). Sow directly in place, either in a line of seeds every 2 - 3 cm at a depth of 5 cm, or in seed holes by placing 5 or 6 seeds at regular interbals every 40 to 60 cm. Tamp down a little — sow your seeds deeper if you're planting in autumn! Figure out the maximum height that your pea variety can attain, then plant simple wooden stakes along your rows to allow your peas to grip and climb! Hoe once the plants come up. Earth up the rows when the plants measure 10 cm: form a little mound around each to encourage draining. Mulch between rows to limit evaporation and weeds. Peas hate drought! 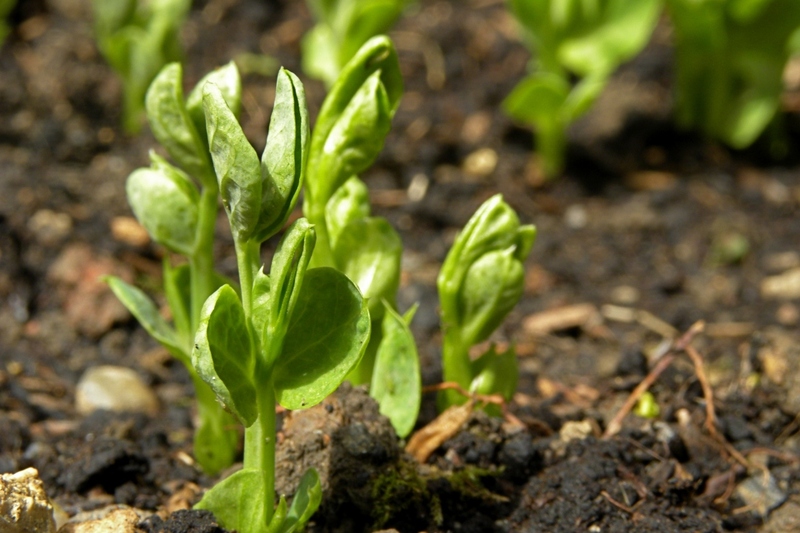 Keep an eye on them — and think about mulching, for your peace of mind and the health of your peas. Water the seedlings until they come up, then you can start to limit watering a bit in order to encourage flower growth instead of leaves. On the other hand, as soon as they've finished flowering, water copiously because it's the time for seed formation! If your peas lack water at this crucial time, they'll become hard and starchy. Then, water regularly without excess. Be careful — don't get the foliage wet to avoid the development of fungal diseases like powdery mildew. The quality of your peas will depend if you harvest them at the right time ! Peas are typically harvested 3 to 4 months after seeding, depending on the varieties. Harvest the peas as soon as they've reached edible size — the pod should be round, closed, and rich green, with soft skin and well-formed peas visible it's entire length. After the harvest, pull out the roots, compost them, and make a little space for winter vegetables! Like beans, peas fix airborne nitrogen through their roots, and plants of the Alliaceae genus don't appreciate this at all! Avoid planting near garlic, shallots or onions. On the other hand, peas enjoy being neighbours with a variety of vegetables such as carrot, celery, cabbage, cucumber, lettuce, potato, radish and turnip. To fight off weavil attacks, you can plant garden savoury (Satureja hortensis) between rows!